So here we are, at the final instalment of our epic Penang Layover adventures. Two days, 3 people and a super long list of things to see and eat! We hope we haven’t disappointed you thus far! Without further ado, let’s kick it straight off! On our second day (I think you would have figured out by now that the four posts are not in chronological order, rather they are arranged according to locations and for your ease in getting around Penang), we had an epic time walking around Georgetown with Madam Mummy (bless her stamina!) on our Penang Street Art trail which lasted around 5kms in the hot tropical sun. So after lunch, we dropped her back to the hotel to cool down. The Boy and I then arranged for the hotel chauffeur to drop us off at the famous Kek Lok Si temple. There were two reasons for us going up to the temple. 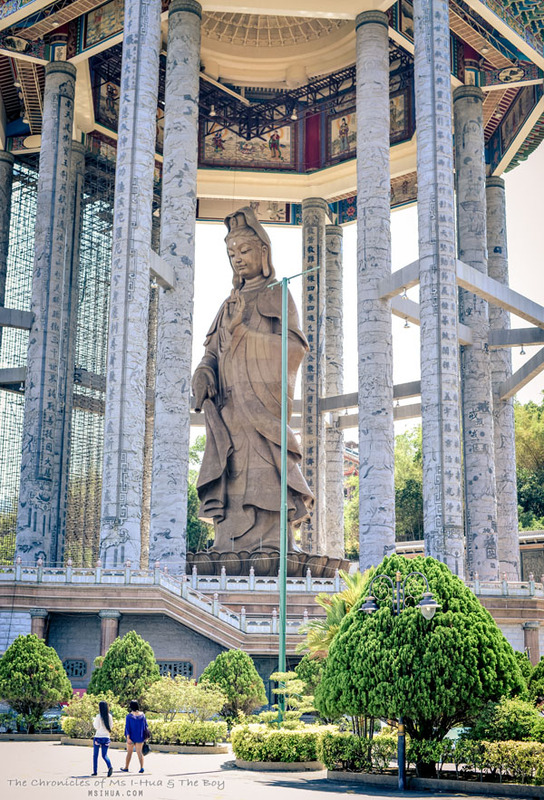 The first was that it is one of Penang’s major tourists attraction and as it was The Boy’s first time to Penang, I felt it was my duty to do some touristy things. The second (and possibly my main reason) for heading up that way to Air Itam was to enjoy a hearty bowl of Assam Laksa. The best Penang has to offer. 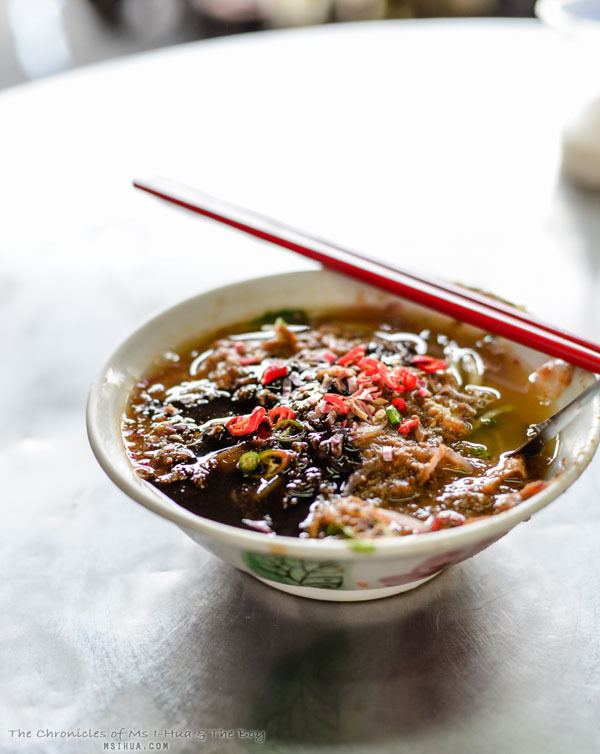 Famous around the world (the likes of Bourdain have dined here), local punters and tourists alike swarm to Air Itam for a bowl of this hot fishy spicy broth of noodles. For a mere RM4, you are guaranteed a bowl of gloriousness. I do have to warn you though, this laksa is not for everyone and can come across quite pungent and fishy. However, it is my favourite form of laksa and I can hundred percent vouch for the authenticity and the taste of this Assam Laksa as to be the best. It is so good that my mouth is watering just as I’m writing this sentence. Even The Boy who is not fond of Assam Laksa agreed that this was a wonderfully balanced bowl of sweet, spicy and tanginess. It is definitely worth the hike and journey out here (it’s about 20-30 minutes out of Georgetown by car, depending on traffic) and I only wished I had another bowl. 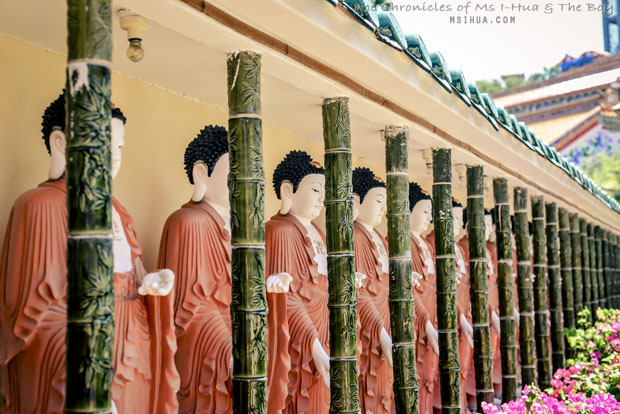 Take your time to stroll through the many gardens and secluded areas of the temple. It is HUGE! Which is not surprising as it is the largest Buddhist temple in South East Asia. I remember coming here as a little girl. That temple in my memory is completely gone and replaced with a much bigger and shinier version with hints of modern architecture. And it is still growing. It’s been in construction since 1890 and the expansion is never complete. The view of Penang from atop the hill is also a wondrous sight to behold. Right at the top of the hill, stands a bronze statue of the Goddess of Mercy. 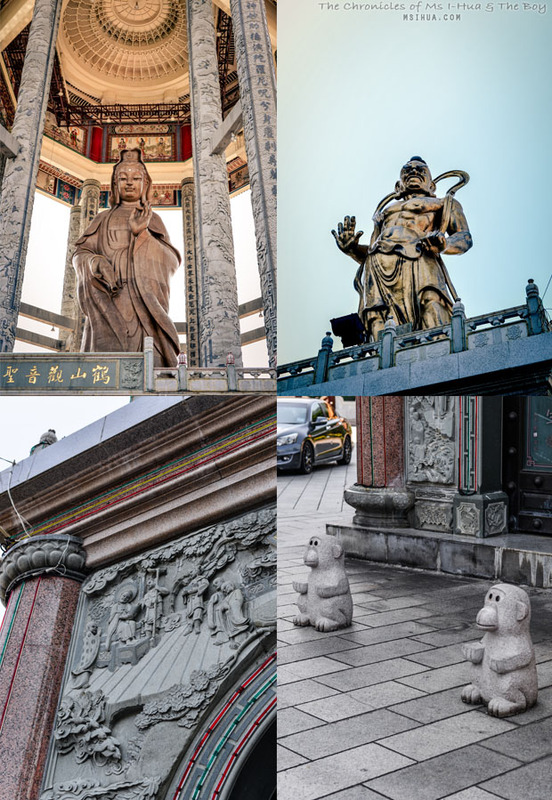 She stands tall at 30.2 metres and a magnificent pagoda is now being constructed around her. My over active imagination couldn’t stop from visualising several epic kung fu scenes where fights take place between martial arts disciples flying from one pillar to the next! Now to slightly throw you off, we also made a side trip to Padang Brown. Big Sis and I grew up with stories of Madam Mummy coming here to eat. Over the years, we’ve made a point to always drop in for two stalls in this little field of food. Penangites call this beloved field, Padang (if you say Brown after Padang, people will know you are a tourist!). The food court is split into two, with the memorial to Scotsman David Brown standing proud and tall in the middle. On one side of the food court, Malay and Indian food is catered for. Come here if you are in search of good Pasembur (a type of Malaysian Indian salad). On the other side, is strictly Chinese food (non-halal). 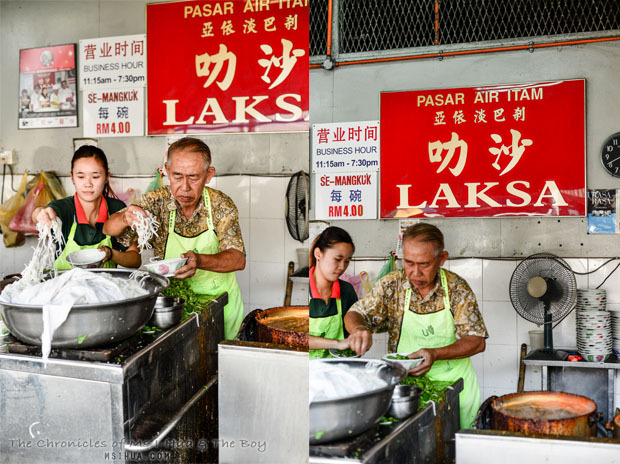 This food court is the perfect amalgamation of how Malaysians get along together around food. Everyone is happy and full of joy! 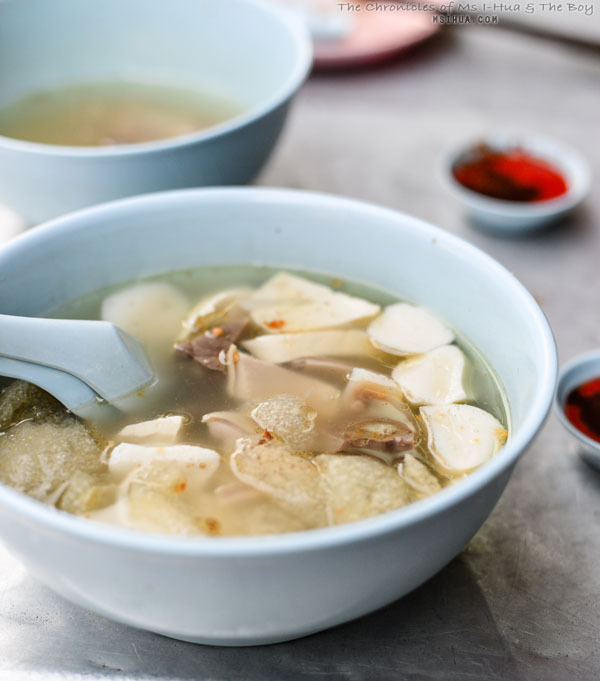 The other food stall that is a must visit if you are a lover of all things offal (like Madam Mummy and me), is the Yong Tau Foo stall right on the edge of the food court. NB: There is now two food courts on Padang Brown (new and old, ask for the old one for the stalls featured above), nearer to Dato’ Karamat Road. This blog has a really good description and background history on Padang Brown. 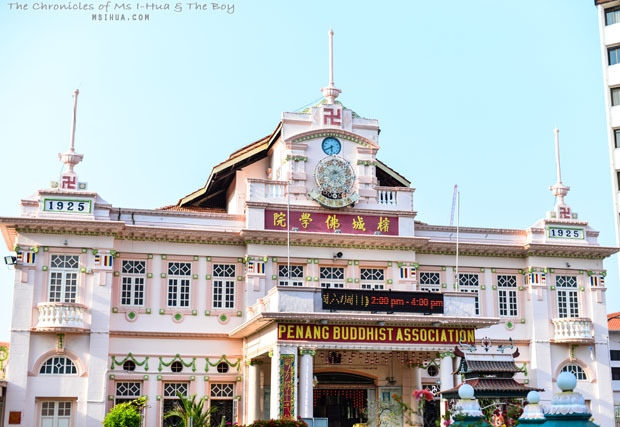 As a side visit (and note), across Padang Brown, stands the Penang Buddhist Association. A beautiful colonial building painted in shades of pink, this beautiful building holds a special momento to my family. You see, this is where my grandparents were married 70 years ago 🙂 It felt really good to be able to bring The Boy and show him the story of where it all began. Grandpa is just past 91 and he would have celebrated 70 years with the love of his life if she were still around today. For our dinner on our second night, Madam Mummy thought she would educate us by taking us out for a traditional Penang Hainanese meal at 747 Restaurant, which has been around since 1976. There’s a funny story around this and the cab driver (there’s a few of those on this trip) who took us to the restaurant. Madam Mummy had rung the restaurant ahead to double check on opening hours and location. I think there was a miscommunication around yes and no in Hokkien and thus we gave our cab driver directions to where we thought the restaurant, was located (Transfer Road). Our driver, merry fellow that he was argued good naturedly with us that we had the wrong information and that the restaurant (famous for its fish head curry) had moved to a new spot (Macalister Road). Madam Mummy insisted she rang ahead to check, and our cab driver said, “Fine. I’ll take you to where you say you want to go, but I’ll be right and then I’ll take you to where the restaurant is currently located”. He ended up taking us to the restaurant’s current location for an extra RM5, but we enjoyed a good laugh with him! As there was only the three of us (with The Boy not a fan of fish head curries), we decided to keep it simple and order key Penang Hainanese and Peranakan dishes. 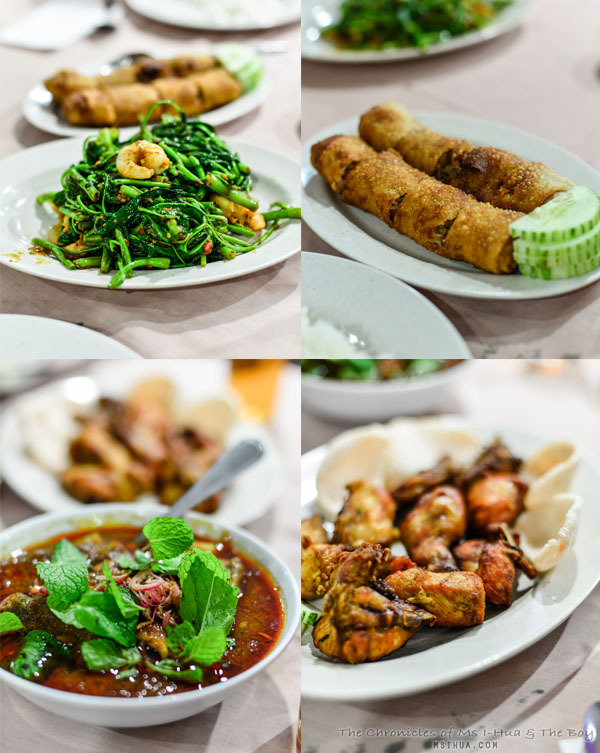 So we had (clockwise from top-left picture) Sambal Kang-Kung, Fried Hainanese Spring Rolls (Choon Piah), Inche Kabin (Fried Chicken) and Assam Fish. 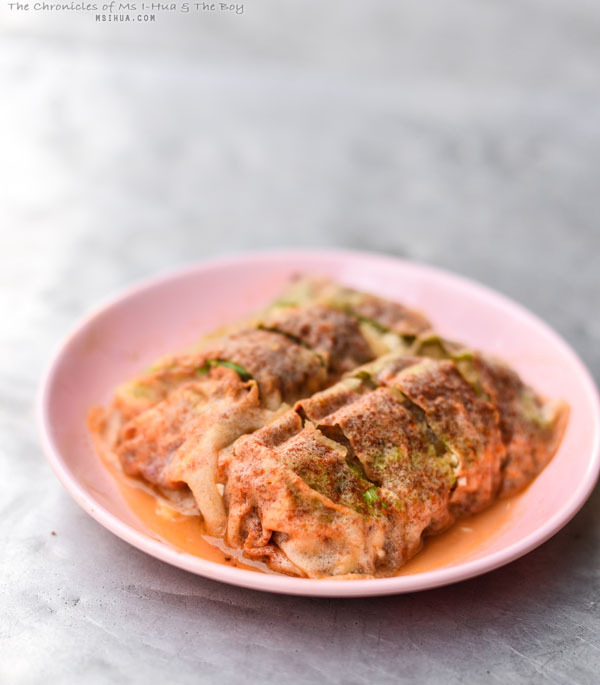 If we had more people along with us, I would have loved to order the Hainanese Chicken pie which from my childhood memories was pretty superb! And that’s it folks! 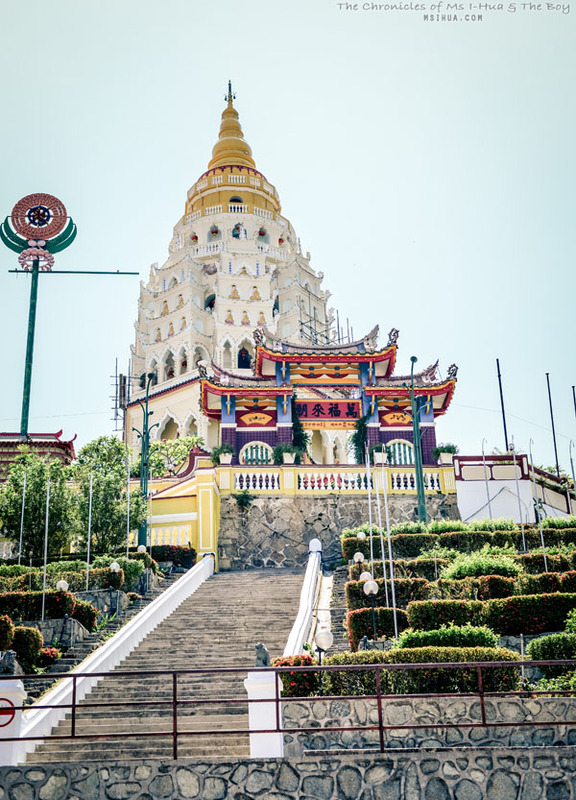 We hope you enjoyed our whirlwind Penang Layover posts (and trip) and we hope that this helps you in your planning should you be fortunate enough to drop in to this beautiful friendly island. 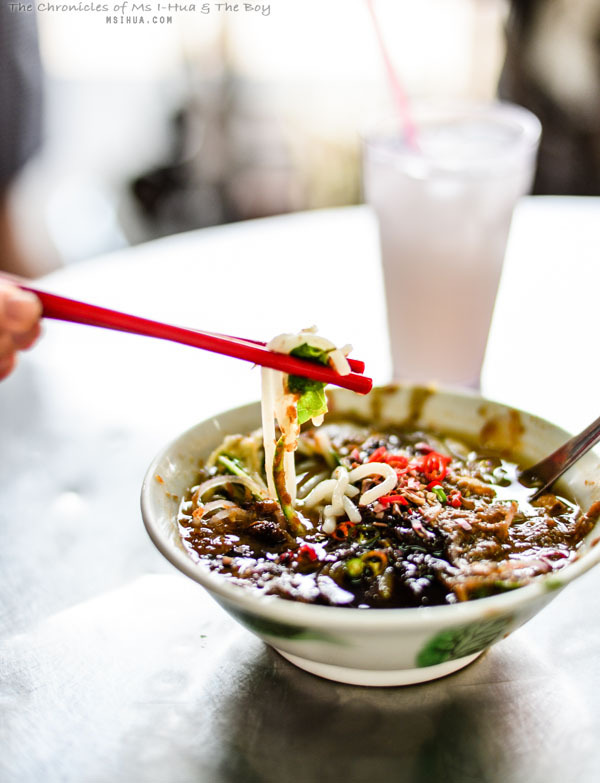 We can’t stress how good Penang is in terms of things to see and eat. On a friendliness level as well, everyone in Penang is just so helpful, friendly and easy-going! We’ll be back with our Singapore Layover posts soon. Have a lovely week ahead! zeek here! i love reading all your Penang post. great recap and as a penangite myself, i gotta say you did well! haha. i live just opposite Padang Brown and grew up eating the food there. My neighbour is one of the “angels” at the popiah basah stall. haha. Im sure you can see right? the head chef (groovy uncle) with his 3 assistants. I always call them charlie’s angel and man, those aunties can get really cranky when the business gets out of hand during peak hours. aha. i attended kindergarten at PBA so you’re literally in my hood! 🙂 I can imagine meeting you and your husband over coffee and we can relive the good ‘ol penang food in Melbourne soon.